Griggs, Fisher and Herzog (with former director Mary Lou Aleskie) at an A&I event last year. Photo courtesy Festival of Arts & Ideas. After several months of searching, the International Festival of Arts & Ideas has announced new leadership to replace its executive director: A trio that's been leading the organization in the interim. Their first big assignment is just around the corner: the 23rd Festival, which begins June 9 of next year. “On behalf of the entire board, it is my honor to congratulate Liz, Tom, and Chad on their appointments,” wrote Board Chair Gordon Geballe in a press release Thursday. The team isn't new to the job—they have been guiding the annual Festival through its transition since Executive Director Mary Lou Aleskie departed for Dartmouth College earlier this year, and have all held leadership positions in other organizations. After running the 2017 season, this will technically be their second Festival organizing events, raising funds, and working to collaborate more with the community. At the Festival, Fisher has been on as the managing director since 1998. Griggs joined as director of development in 2014, and Herzog as director of programming since 2015. 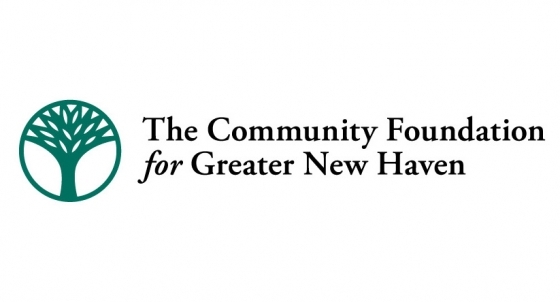 Speaking for the team from a conference in Providence, Herzog said that he sees this as a new chapter for the Festival, where a "team approach to doing things" will lead to greater collaboration with the New Haven community. "We all have our strengths, and we’re all able to lean on each other’s strengths," he said, pointing to a similar restructuring at arts nonprofit . "So the future of the Festival is pretty exciting. Being an integral part of the community is something that the three of us are just concerned about now as we’ve ever been." He added that he sees future Festivals "involving New Haven, the region, and abroad ... making sure we continue to bring the best art from around the world but also bring attention to artists practicing in New Haven." "There’s absolutely no reason that only one person can provide vision to an organization," he added. "We don’t need a vision of one person. What we need is the vision of the community"